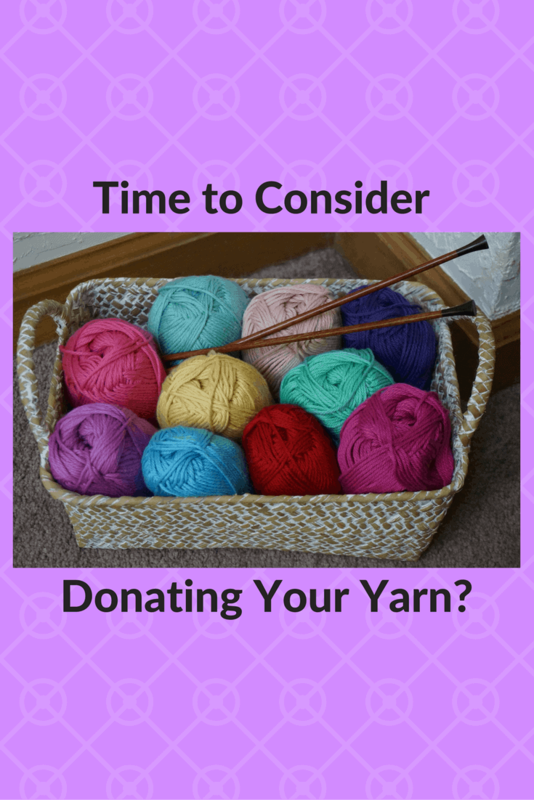 Is it time to consider donating your yarn? I’ve recently realized that I have actually never donated yarn to anyone. How recently? Um… I sat down to write this article and realized I’ve never donated my yarn. That’s how recently. I really want to write a list. Lists seem so logical. So organized. So precise. That’s a little depressing, honestly. I wanted to have deep, psychologically heavy reasons why I’ve never parted with yarn once I’ve obtained it somehow. But nope. There’s my single, solitary reason! All my sock yarn and dream of knitting lots of gorgeous pairs of socks and some lovely shawls. And honestly? I’m pretty sure I’ve already reached SABLE (if you’re not familiar with this term, it’s an acronym that stands for Stash Acquisition Beyond Life Expectancy). No, my yarn stash doesn’t fill a room or anything like that. But I have a lot of yarn and, while I’m a reasonably fast knitter, I don’t think I’m going to put a dent into this stash until I’ve retired. In fact, I might not feel the need to start donating my yarn until I am retired. So suppose you’re not me and you’re ready to start donating your yarn. I frequently hear from folks who want to unload yarn, wondering where are the best places to donate. Elementary schools. Many elementary schools use yarn for arts and crafts projects. Assisted living facilities. Many residents at assisted living facilities enjoy knitting and crochet as well as other arts and crafts activities. Churches. Not only do many churches have knitting groups, but often church Sunday school classes for children use yarn for arts and crafts projects. Thrift/second-hand stores. This is an often overlooked place to donate yarn. I’ve both seen yarn at thrift stores myself and heard of others who have found yarn here. Freecycle. This website offers a network of groups all over the world that allow you to post items you’d like to give away and items you need and would rather not pay for. This is a terrific way to prevent paying postage and find someone who could really use your yarn. 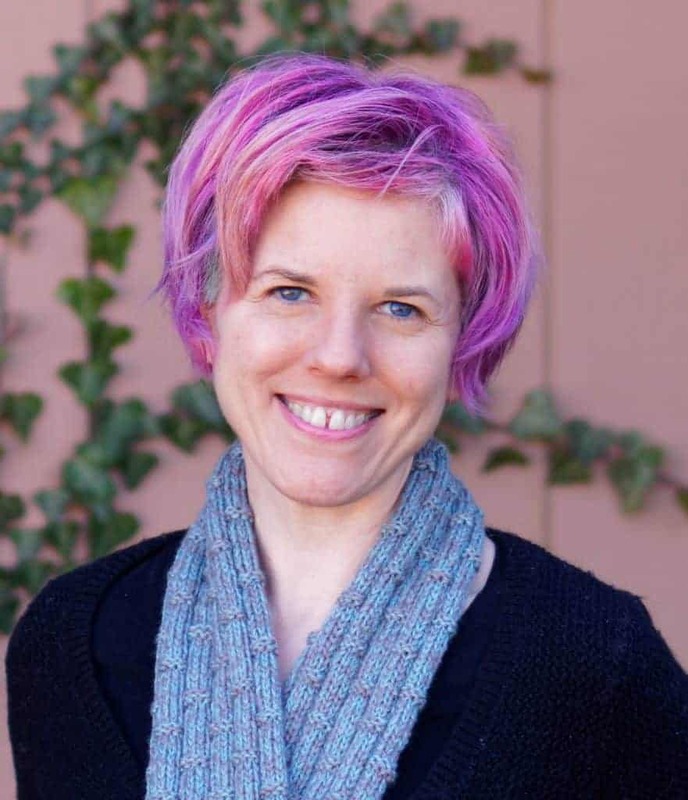 Ravelry groups. There are two fantastic groups on Ravelry where you can unload excess yarn. One is ISO and Destash of Yarn and the second is Destash International. Use the magic of the Internet to your advantage! Note that both of these groups have additional links to Ravelry groups that also allow for exchanges of yarn and/or supplies. Let’s hear from you now: do you struggle with letting go of yarn? If so, why? And do you have additional ideas for places and ways for donating your yarn? Is It Time for You to Tame Your Crazy Yarn Stash? Previous Post: « Is It Time for You to Tame Your Crazy Yarn Stash? I will hopefully not reach SABLE for a long time! I started knitting at age 8 and am only 15 now! I have given away yarn to a local giving group, and I work for our local goodwill. Yarn that’s donated goes out on our floor, for such cheap prices! I like to save my bits and pieces to make striped hats and slippers to give away. It is hard to donate yarn. You know you will want it as soon as it is gone, but then you get to be an old lady like me and you remember how much stuff you had to get rid of when several of your relatives died. Also, it gives you an excuse to buy more! I periodically destash some acrylic to a charity group in a city where I used to live. I still make trips there a couple of times a year, and the group is always grateful for the yarn, as many of them are seniors on limited incomes. I *could* donate acrylic to the prayer shawl group at church, but it’s a small group and there’s a ton of yarn in the yarn closet. I do often use stash yarn for projects in that group, rather than using the group’s yarn, so I guess that destashes a little. I am hesitant to donate non-acrylic or novelty yarn, but I sometimes give friends odd bits of wool or wool-blend yarn that I’ve decided I won’t use. I still have way too much yarn! That’s one thing I never do is buy yarn for charity projects, so that’s definitely a good thing! (Probably because I usually *choose* my charity projects based on my stash, haha.) Sigh, I definitely have too much yarn and just pray that someday I’ll find the strength to donate! I have actually free-cycled bags and bags of yarn recently – mainly because I had to clear out my basement due to plumbing repairs. It was made easier by acknowledging that yeah, I’m probably never going to knit all this yarn and by the fact that I got to see the people receiving it face to face. One was a fibre artist, another picked up the yarn on behalf of a group of ladies who knit for charity, and the others were just regular knitters like me who love yarn. I confess some of my yarn did get bagged and temporarily stashed in my garage and will return home to the basement. I’m one of those people, like you, who looks at all this fabulous yarn and imagines all the wonderful items it will get transformed into. So I had to chuckle about your reason: “I may need it someday.” Yeah, that works for me, too! I get pleasure just thinking about what I will make from all this yarn. We just have to know where to draw the line between enough and too much. What great timing. I just gave away 14 lbs of my stash yarn to a group of charity knitters at my local church yesterday. This was mainly acrylic yarn that had been donated to me because people know I crochet for charity, but also wool a friend gave to me when she was destashing! I am still keeping hold of my leftovers from various projects of my own but in truth they could go too. An interesting article – thank you!